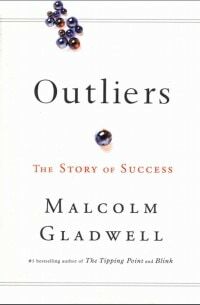 The Outliers is a book based on men and women who do things out of ordinary and become expert in their field. This book also derives a key rule called 10,000 hours. In the analysis of piano players. The author of this book came to this conclusion. Folks who become expert in any field has spent 10,000 hours. While good folks spend 8000 hours. Likewise, folks like music teachers spend 4000 hours. Conclude, to become an expert in any field you have to spend 10,000 hours. A self-made man is a myth. But, the truth is folks get success is beneficiary by the hidden advantage and extraordinary opportunities that allow them to learn and grow. Go over, these number and say it loud 4,8,5,3,9,7,6. Now you spend 20 seconds memorizing that sequence before saying it loud. If you speak English there is 50% chance you remember this sequence perfectly. But, if you speak Chinese. Then, there is the greater chance you will remember this sequence for the next time. Why does this happen? Because as we human being. We store digits in a memory loop that run for two seconds. So, anything we say loud within two seconds can memorize faster. If you speak English. You will say words like: Four, Eight, Five, Three, Nine, Seven, Six. Thus, it takes time to speak. But, if you speak Chinese, it sounds like: Si, B, Wu, San, Jiu, Qi, Liu. Then, it takes you less time to memorize this sequence. Why Asian student good at Math? The truth lies in the number naming system of Western and Asian language. In English, we say fourteen, fifteen, sixteen, and seventeen. So, one might expect that we would say oneteen, twoteen, threeteen and so on. But, We don’t. We use a different form: Eleven, twelve, thirteen. But the number naming system in China, Japan, and Korea was different. They have a logical counting system. Eleven is ten-one, twelve is ten-two. Likewise, twenty-four is two-tens-four. Due to this Asian children learn counting so faster than American children. Wealthy parents raise their kids in a different way as compared to poor parents. Poor parents don’t involve in their child’s interest while wealthy parents do. Yes, it makes difference where you born and when you born. In one study, people born between 1903 and 1911 have faced far more failure than people born between 1912 and 1917. Why? Because of two major events: the great depression and world war second.